Click on Trackers, and select your tracker. Click on the title of the standard to view the mastery levels for that standard. 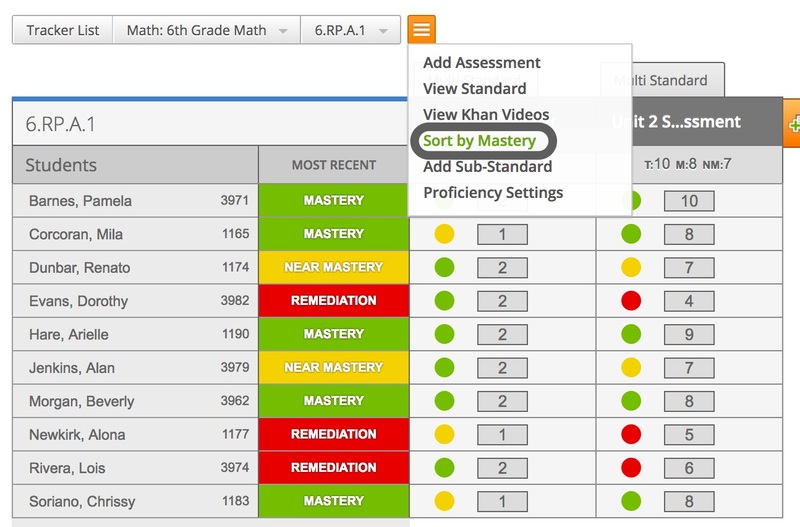 Then, hover over the orange menu button and select Sort by Mastery. You can also print a copy of the sorted student list.